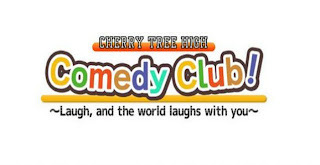 This is a review of a new computer game called: Cherry Tree High Comedy Club! 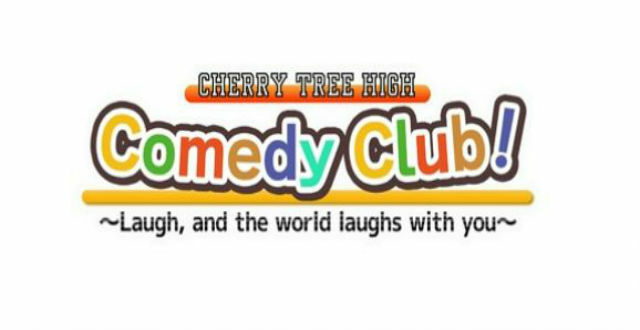 Let me begin with my impressions of the Comedy Club. To me this game seemed almost like the Persona games, without any monster fighting. 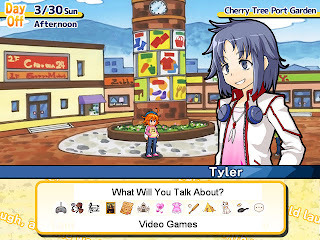 It's the most complete life simulation game there probably is out there, without sacrificing that Japanime style that we all love. 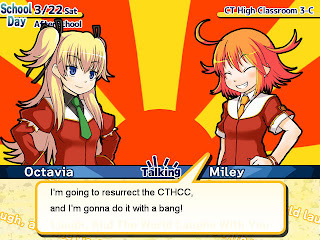 In the beginning, the main character Miley talks to her friend and rival Octavia. She talks about her determination to bring back a defunct Comedy Club that used to be at her school. 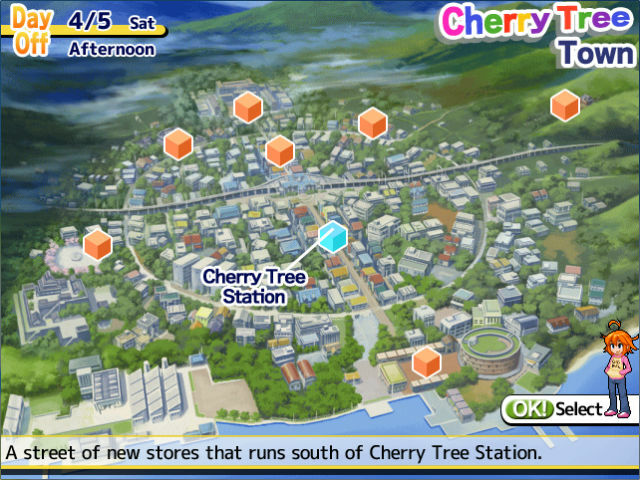 This is the opening of the game and like most visual novels, the opening is very long. Don't let this deter you from playing the game lol. 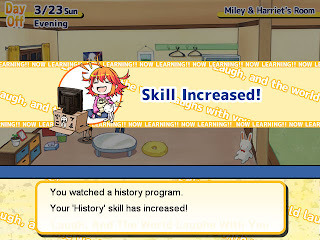 Just like anime virtual life simulators, skills increase after you do enough of certain activities. Basically you can become any kind of person you want to be by practicing your favorite things. There are different places to go, the world is your oyster! At least the city! 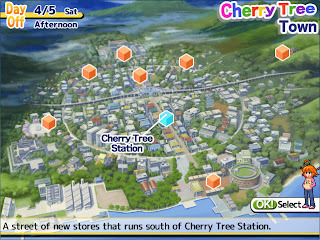 This game is a great game to play if you're feeling bored. 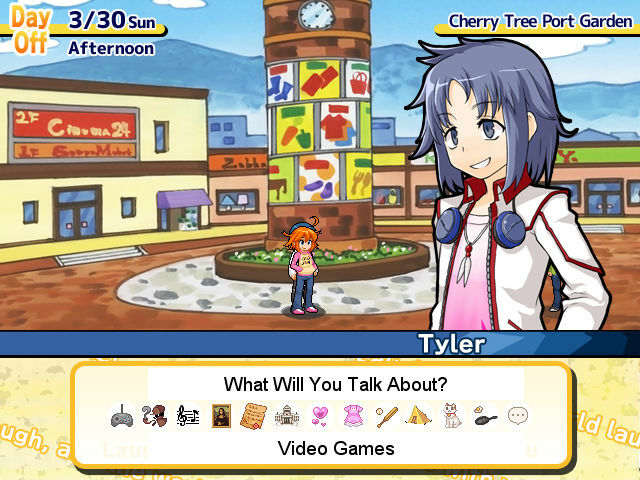 The main character is a girl, so it's probably going to appeal more to girls than to boys. But that shouldn't let boys get scared enough not to try it out. But for girls of all ages, I highly recommend this game. 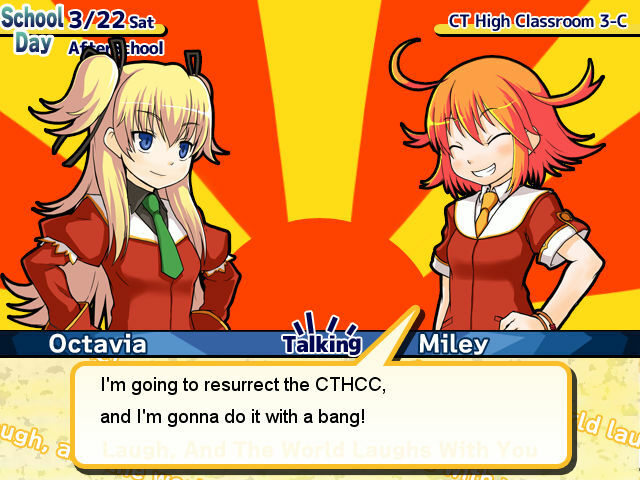 Get the game at the official website!